This is the fourth volume in The Marie Antoinette Romances. The Countess de Charny begins where Storming the Bastille leaves off after the attack on Versailles and the Royal family is "escorted" back to Paris by that same mob and are installed in residence at the Tuileries Palace, while the various factions of the National Assembly sort out the politics and fate of the Royal Family going forward. 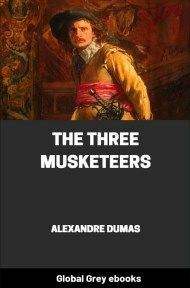 Gilbert returns as a royalist trying to keep Louis on the throne, albeit without absolute power, and the ever mysterious Count Cagliostro (formerly known as Balsamo) plots with the Freemasons to manipulate the revolution to a higher level. It was on the first of October, 1791, that the new Legislative Assembly was to be inaugurated over France. King Louis XVI., captured with Queen Marie Antoinette and the royal family, while attempting to escape from the kingdom and join his brothers and the other princes abroad, was held in a kind of detention, like imprisonment without hard labor, in the Tuileries Palace in Paris. His fate hung on the members of the new House of Representatives. Let us hasten to see what they were. The Congress was composed of seven hundred and forty-five members: four hundred lawyers of one kind or another; some seventy literary men; seventy priests who had taken the oath to abide by the Constitution, not yet framed, but to which the king had subscribed on the sketch. The remaining two hundred odd were landholders, farming their own estates or hiring them out to others. Among these was François Billet, a robust peasant of forty-five, distinguished by the people of Paris and France as a hero, from having been mainly instrumental in the taking of the Bastile, regarded as the embodiment of the ancient tyranny, now almost leveled with the dust. Billet had suffered two wrongs at the hands of the king's men and the nobles, which he had sworn to avenge as well on the classes as on the individuals. 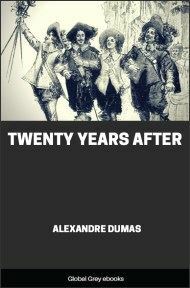 His farm-house had been pillaged by Paris policemen acting under a blank warrant signed by the king and issued at the request of Andrea de Taverney, Countess of Charny, the queen's favorite, as her husband the count was reckoned, too. She had a spite against Billet's friend, Dr. Honore Gilbert, a noted patriot and politician. In his youth, this afterward distinguished physician had taken advantage of her senses being steeped in a mesmeric swoon, to lower her pride. Thanks to this trance and from his overruling love, he was the progenitor of her son, Sebastian Emile Gilbert; but with all the pride of this paternity, he was haunted by unceasing remorse. Andrea could not forgive this crime, all the more as it was a thorn in her side since her marriage. It was a marriage enforced on her, as the Count of Charny had been caught by the king on his knees to the queen; and to prevent the stupid monarch being convinced by this scene that there was truth in the tattle at court that Count Charny was Marie Antoinette's paramour, she had explained that he merely was suing for the hand of her friend Andrea. The king's consent given, this marriage took place, but for six years the couple dwelt apart; not that mutual love did not prevail between them, but neither was aware of the affection each had inspired in the other at first sight. 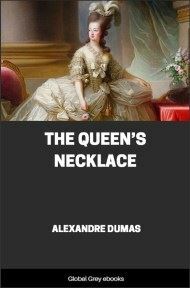 The new countess thought that Charny's affection for the queen was a guilty and durable one; while he, believing his wife, by compulsion, a saint on earth, dared not presume on the position which fate and devotion to their sovereign had imposed on them both. 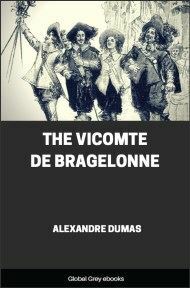 This devotion was confirmed on the count's part, cemented by blood; for his two brothers, Valence and Isidore, had lost their lives in defending the king and queen from the revolutionists. 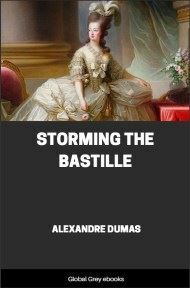 Andrea had a brother, Philip, who also loved the queen, but he had been offended by her amour with Charny; and, being touched by an American republican fever while fighting with Lafayette for the liberation of the thirteen colonies, he had quitted the court of France. On his way he had wounded Gilbert, whom he learned to be his sister's wronger, as well as having stolen away her infant son; but although the wound would have been mortal under other treatment, it had been healed by the wondrous medicaments of Joseph Balsamo, alias Count Cagliostro, the celebrated head of the Invisibles, a branch of the Orient Freemasons, dedicated to overthrow the monarchy and set up a republic, after the United States model, in France, if not in Europe. Gilbert and Cagliostro were therefore fast friends, to say nothing of the latter's regret that he should have set temptation in the young man's way; it was he who had plunged Andrea into the magnetic slumber from which she had awakened a maid no longer. But some recompense had come to the proud lady, after the six years' wedded life to the very man she adored, though fate and misunderstanding had estranged them. On learning what a martyr she had been through the unconscious motherhood, Count George had more than forgiven her—he worshiped her; and in their country seat at Boursonnes, eighteen miles from Paris, he was forgetting, in her lovely arms the demands of his queen, his king, and his caste, to use his influence in the political arena. This silence on his part led to the candidature of Farmer Billet being unimpeded. Besides, Charny would hardly have moved in opposition to the latter, as one cause of the enmity of the peasant was his daughter's ruin by Viscount Isidore Charny. The death of the latter, not being by Billet's hand, had not appeased the grudge. He was a stern, unrelenting man; and just as he would not forgive his daughter Catherine for her dishonor, or even look upon her son, he stood out uncompromisingly against the nobles and the priests. Charny had stolen his daughter; the clergy, in the person of his parish priest, Father Fortier, had refused burial to his wife. On her grave he had vowed eternal hostility to the nobles and the clericals.